Note: Some links in this post I’m sharing might be affiliate links, and we will be compensated when you make a purchase by clicking through our links. Thank you. Read our disclosure + terms here. One of the things I realize I didn’t do last year was really look deep into my goals. I created goals and because they changed in Feb/March of last year, I just stopped tracking them. So this year, it’s a bit different. 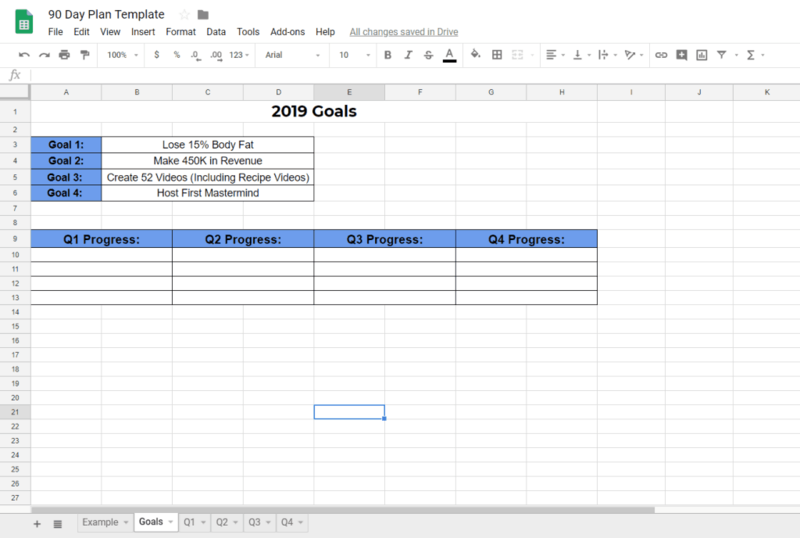 I’ve created a Google Spreadsheet that has all of my goals and then a breakdown of them in 90 Day increments so that I can track what I do and what is/isn’t working for me. These are my big big goals and my other goals will feed into these 4 main ones. With that said, let’s jump in, take a peek at my word and my goals… woot woot! Then in the picture below I broke down my goals into 90 Day Increments. This first 90 days is more about planning and outlining than about real super action. My 2nd 90 Days that start in April will be MUCH more action packed. My 2018 word of the year was fun and I had so much more fun last year. We traveled a lot, experienced a lot and I laughed more last year than I probably did in previous years. I’m so grateful for the joy, fun and amazing friends and family we had (and still have) in our lives. But this year is different. While I did savor every moment of fun last year, I also realized a big piece of me was missing. I lost my voice along this way of life and I recognized that I needed to find me again. So this year… it’s all about SURRENDERING. It’s about letting me feel emotions I normally would try to push away and to understand why they are there. I feel it’s also about surrendering to my voice too. I’ve stood in the background and I’ve been super quiet with sharing what’s important to me. Also, with sharing what’s working for me and showing up from a place of authenticity and transparency. We don’t really see a whole of the real behind the scenes, so I’ll be doing do that more. My second word for this year is PLAY. I had so much fun last year and I laughed a lot. This year, I want to get more creative and play more. There wasn’t a lot of playfulness in my life and I’m ready for that more. And exploring… but let’s just start with playing. What might that look like for me? Of course, other things, but these were the first things that popped into my head. Let’s jump into my goals! If you haven’t ready my 2018 Review, you can read that here. And… if you want to see my reflections on 2018, you can take a peek at those here. I like breaking my goals down into categories so it’s simpler for me to follow and track. I like how it flows and I can see which categories get more of my time and energy than others. Lose 15% body fat – At the time of me writing this (about 2 weeks into the new year – I’m actually writing this on my birthday – Jan. 14th woot woot!) my BF is 35.9%. On 12/31, when I took my first weight and body fat numbers, I was at 37.4%, so 2 weeks in and I’m down almost 2% BF and I even feel my arms getting toned! Read 12 books – I have about 300 books at home and about 250 of those I’ve not read, not including the Audible books I have too. And I want at least 4 of the books to be fiction and have nothing to do with self-development or business. I’ll keep you updated on which books I’ll be reading. Be off technology by 5pm everyday – I love being present with my kids. They are turning into these amazing human beings and I’d like to say it’s because of me, but let’s be honest, they were already amazing. I would like to enjoy more time with them. We love playing games, watching our shows and laughing together. We recently got into cooking/baking shows and game shows. It is really fun watching us guess things or talk about how we would make food differently. My son even knows what fondant is now haha. I want more of that joyful family feeling and that happens when I’m not scrolling Facebook for no real good reason. Take a couple’s trip with Chad – I’m not sure where I want to go yet, but I do know I want to go somewhere amazingly fun. Take the kids on 2 big vacations and 2 small long weekend vacations – My parents didn’t travel when I was a kid. They went to Memphis to visit my grandparents and back home. I don’t want my kids to only see a few places. I want them to experience the world and other lifestyles, beliefs and people who are different from them. Increase our credit score by 30 points – My husband has pretty good credit but before him and I met, I filed for bankruptcy and it is finally dropping off of my credit this year. I want to increase my credit score so that our interest rate when we buy a house this year will be less. I’m pretty forgetful, so when we get medical bills in the mail, I’ll leave them on the table or throw them away (yep… great system :/ ) so we’ve had some go to collections on my account. Paying them and asking them to remove it completely (versus marking it as paid) will increase our credit score. When we did that with my husband’s, his score would jump 5 or 10 points. So tooty frooty – I’ll take it. Create 52 videos – I really want to practice being more present and visible with you. It’s important for me to really dive into creating content that will uplift and inspire and that comes with surrendering to video and creating them. Plus, I’m getting my dance instructor certification and in my Facebook Group, I’ll be sharing some of the dances 🙂 So I’m gonna allow those to count – but again – it might not be pretty, but practice makes perfect. Or in my case, practice makes me look less crazy haha. 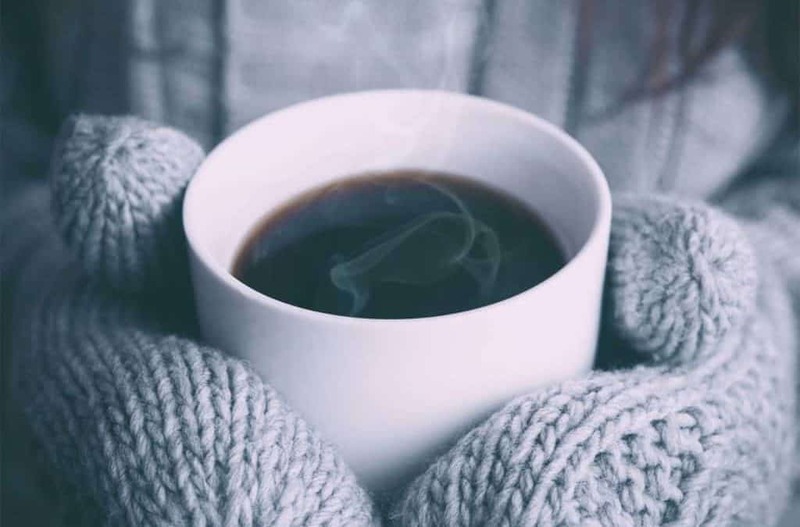 Add one recipe a month to the website – With finding out my husband has Mixed Connective Tissue Disorder (an autoimmune disorder), we are having to change how we eat and so I want to share some of the new recipes from our kitchen. These are my main goals, as it’s important for me not to put TOO much on my plate. I’m still working 30 hours a week with Clients On Demand and about 2 – 3 hours a week with Freshly Implemented. Overextending myself isn’t an option this year. I finally learned boundaries and how to say NO last year, so I’m gonna keep that up. Make $450K in revenue. I made $137K this year and so it would essentially triple my income, but I want to do that without adding in 15 or 20 hours of work each week. So I’ll be focusing on smarter activity that will increase my income without losing sleep or family time. I’ll keep you updated on how that works. Increase my ad spend through FB & Pinterest. I’ll be using Facebook and Pinterest Ads for my business and to share my printables and templates, so I’ll want to finetune this. I started my first Pinterest ad today and I’m sending them to this blog post. And…. we want to buy a house too… this is slower moving than I would like. But I’ll keep you updated on the process with that too. What are your goals for 2019? I’d love to see them! Share (or link) them in the comments below.